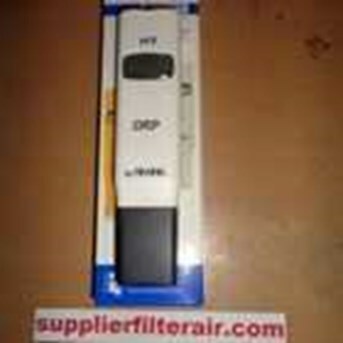 ORP METER HANNA Jual ORP meter Hanna, alat untuk mengukur potensi oksidasi reduksi air. Hubungi: CV. Mitra Water 0857 33 66 99 31 Hanna Instruments Oxidation Reduction Potential ( ORP) Meter First quick, inexpensive test for ORP Quick and affordable Clog resistant junction for extended life Oxidation is a process in which a molecule or ion loses electrons. This occurs in the soil and in water treatment where an oxidizer, such as chlorine, is added to the water to destroy contaminants. The higher the ORP value, the greater the sanitizing power of your water. 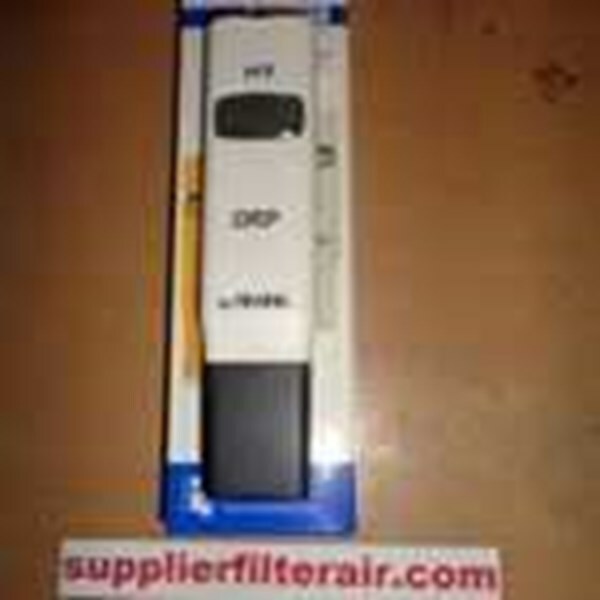 The ORP tester can provide a valuable indication of water quality. HI 98201 is a unique hand-held tester developed for quick and affordable tests. The ORP tester utilizes a platinum electrode and HANNA instruments® unique cloth fiber junction, which can be pulled out when clogging occurs, reactivating the reference and restoring the electrode. About the rH -- Redox Value The rH or Redox value is derived from ORP ( Oxidation Reduction Potential) and pH readings. An ideal rH value would be 27 - 29. ORP reactions in the soil are of major significance from the chemical as well as the biological standpoint. Like pH, the redox potential does not effect plant growth directly, but may control influential environmental conditions. 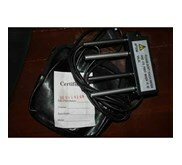 The ORP tester is the simplest instrument for measuring the state of soil oxidation. At this time, ORP is perhaps most often used to determine compost stability. 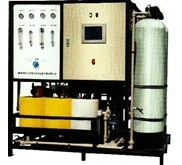 The ORP and pH reactions involve ions and are measured in a water solution. Since a redox reaction involves an electron flow, it produces an electric potential. This is usually measured with a platinum electrode rather than with another solution contacting a reference electrode. Life obtains its energy from the transfer of electrons caused by the oxidation of reduced materials. Respiring life captures energy from a series of reactions involved in the movement of electrons to oxygen. In soil, organic matter ( OM) is the major electron donor and oxygen is the major electron acceptor. Oxygen is the only electron acceptor which plant roots can utilize. In those cases where oxygen is not available, nitrate, ferric ( Fe + 3, the fully oxidized form of iron) , Mn + 2, and sulfate can act as electron acceptors, if the live organisms have the correct enzyme systems. In soil, electrons are continually being transferred by the biological oxidation of OM. Electron flow reduces as organic matter is converted to humus and increases with the addition of fresh OM. The ORP value will drop due to spreading of manure or OM. For this reason, by delaying planting, you can allow the potential to return approximately to its former value. Reversible reactions produce an initial fast responding ORP, whereas irreversible reactions result in a slow drift. In those reversible reactions where equilibrium is reached, electron transfers cease. Hence, a stable ORP is read with zero current flowing through the electrodes. Soil systems are typically irreversible; this is especially true for biological reactions. For neutral or alkaline pH soils, maintaining the rH value at a level that is not too high, may improve the availability of phosphorus, iron and manganese. ( It may be better to have an rH of 26 than an rH of 30.) 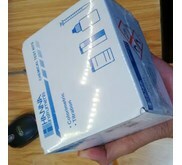 HI 98201 ( ORP) is supplied complete with protective cap, batteries and instructions. Specifications ORP meter Hanna: Range : ± 999 mV Resolution : 1 mV Accuracy ( @ 20° C/ 68° F) : ± 5 mV Typical EMC Deviation : ± 5 mV Battery Type / Life : 4 x 1.4V / 700 hours approx. 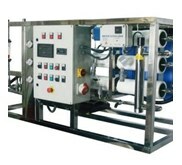 continuous use Environment : 0 to 50° C ( 32 to 122° F) ; RH 95% Dimensions : 175 x 41 x 23 mm ( 7.9 x 1.8 x 1" ) Weight : 78 g ( 2.7 oz.) Unit Ship Weight: 1Lb Hub : CV. MITRA USAHA MANDIRI, Jl. Mawar 43 Surabaya Telp : 031-5452872 Fax : 031-5313509, Hp : 081234590404, 03181118112, 085733669931, PIN BB : 5B1540B3 , WA : 081234590404 Email : mitrausman@ yahoo.co.id Website: http: / / supplierfilterair.com Cabang Malang : Jl. Candi Telaga Wangi No. 48 Malang. HP : 082233334224 ..